Growth in generics and biologics has resulted in the increased use of injectable drug device components such as syringes, auto-injectors, insulin pens and wearable devices - with an estimated 30 billion units used annually. The demand for these devices has led to significant growth in the manufacture of injection moulded drug delivery devices. But these increasingly popular drug/device combinations present new challenges in terms of packaging, such as material selection for drugs requiring additional barrier properties in order to maintain a controlled atmosphere within the package. Thus, packaging has to evolve to accommodate more complex challenges and user needs. From simply transporting and protecting devices to point of use, to being part of the procedure or home therapy, packaging plays an integral part of the solutions to address adherence and compliance issues. Over the last few years there has been significant growth in the automation of injection moulded delivery devices for the pharmaceutical and medical markets. Yet, for many devices such as inhalers or auto-injectors, standard trays are not an ideal option because these particular devices require a special tray made to hold that specific device. As a result, there is greater risk involved if the tray is not properly designed due to a lack of understanding of the specific processes and interface with the equipment involved. Therefore, it is a crucial task to choose the right handling tray that fits the device and to carefully consider the automation, transportation and user requirements involved in the overall process. With the development of these newer and smarter drug delivery devices, packaging manufacturers will face many challenges to reduce costs, improve compliance, provide tamper evidence, educate users and be sustainable. Nelipak Healthcare Packaging understands that it is crucial to develop the right tray solution that fits the device as well as the requirements identified in the overall process. 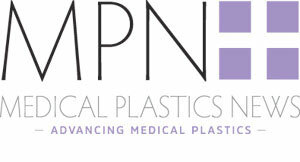 Nelipak, a leading provider of medical device and pharmaceutical packaging solutions, brings a deep technical understanding of supply chain requirements, particularly in regard to high-speed automation for manufacturing and pack-out operations for transit trays and patient packaging solutions to address increasingly complex market needs. The critical importance of productivity and the increasing use of robots and pick-and-place systems in manufacturing have led to a rising demand for dimensionally stable, custom-designed trays. Nelipak is one of the few thermoform packaging providers that have both the capacity and footprint to support global pharmaceutical manufacturing, with six facilities in Europe and the Americas that provide design, development and manufacturing for a variety of materials. Nelipak designs and produces thermoformed trays to customer requirements to meet the highest demands for process optimisation. These trays can be multi-use or single trip and made from a variety of materials to suit the application. Functional features ensure product protection in transit, at the same time multi-use trays are designed to nest inside each other reducing storage space, labor and transport costs. Developing a solution often involves multiple parties – the design authority, consultants, pharmaceutical company, device manufacturer and automation partners. Selecting the handling tray that meets all the requirements for a particular medical device and the automation process is no easy task. The wrong choice can mean that empty trays do not separate properly in the automation process - requiring manual intervention which results in extra costs caused by downtime and reduced run rates. Too much tolerance from tray to tray may lead to product misalignment causing potential product damage and disruption on the machine. Poor packaging density can reduce the autonomy of the machines, increasing both manual loading requirements and increased transportation costs between the contract manufacturer and the filler. Additionally, during transportation the tray must ensure those devices be protected and remain correctly positioned in the tray. As a result, there is greater risk involved if the tray is not properly designed due to a lack of understanding of the specific processes and how products interface with the equipment involved. The manufacturer, automation provider and packaging company must communicate closely and often need to compromise to find the optimal solution. In response, Nelipak has developed its DRS (Design Requirement Specification) process to capture the requirements of the injection moulder, the automation provider, the packaging supplier, and if involved, the contract manufacturer to specify the needs for both the process and the device before it is decided how the trays should be designed. This program draws on the company’s project management experience gained from working with pharmaceutical and medical device OEMs on packaging, transit trays and automation systems across Europe and the Americas. Starting with the initial technical project brief, Nelipak designers deliver digital sketches to clarify aspects that are critical for the packaging, such as device orientation in the tray, critical areas of the device which require extra protection, or how the device will be handled. If, for example, the device will be picked up by grippers, the next question would be where and how much gripper access is required; this can result in an appropriate feature being built into the tray. Nelipak has a track record in designing medical device packaging that protects product up to the point of use, is ergonomic and intuitive, and can be part of the procedure delivering benefits to the surgical team. This experience has been supplemented through studies carried out with healthcare professionals to understand their requirements and challenges. Building on its heritage of developing award-winning packaging for medical device OEMs, Nelipak is working with pharmaceutical industry partners to learn more about the diversity of the end user, the environment the packaging is used in and then, in turn, apply this knowledge to optimised packaging solutions. These can include intuitive packaging, which guides the user through the set up process, combination packs with all components required for administration or senior- friendly access.